Long Road Ahead makes up for its shortcomings in pacing with some smart and not-obvious plot developments, some of which pack more of an emotional impact than anything in the series so far. 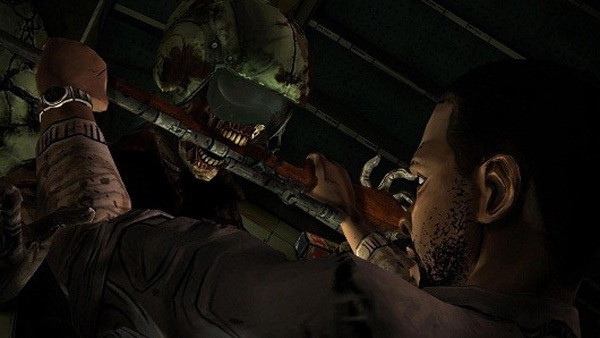 Continuing the story from the previous episodic games A New Day and Starved For Help, Long Road Ahead is the next entry in Telltale’s series based on the popular comic book series The Walking Dead. And while it is not extremely engaging from start to finish – something the first two episodes came very close to achieving – it also packs some of the heaviest, most effective, and most downright emotional scenes in the series so far. Tensions are rising between our main group of survivors holed up in a motel to protect themselves from the continuous outbreak of zombies (or “Walkers”, as they are called here). Self-appointed leader Lilly is being pushed to her limits both due to recent events in the past game and constant arguments with fellow survivor Kenny, and the main protagonist, Lee, is struggling with coming clean about his violent past with everyone. To make matters worse, a group of violent bandits revealed in the previous episode attack. It’s soon time to move out in Kenny’s newly-fixed RV and head for the coast, where hopefully the outbreak is less widespread. Unfortunately, various obstacles and setbacks won’t make things a very smooth trip. The first episode did a good job establishing the series’ initial group of lead characters, and the second one did a great job of ramping up the tension all the way to its very effective climax. This time around, I must admit the experience was a bit more uneven. While the first act does a good job of building intrigue and leading to an engagingly intense series of events, the second act of the game is slow and uneventful to a fault, revolving more around routine adventure game puzzles than developing the plot and characters. After a stellar first third, I was a bit anxious about the episode potentially running out of steam for its remainder. Perhaps the developers felt this way too, because the end of the second act is an absolute gut-wrencher of a twist. With the actions you’re forced to carry out, I literally found myself talking out loud, begging no one in particular to make me do what had to be done. Taking in everything that was happening, as well as thinking about what the rest of the cast must be feeling, was downright emotional. The third act of the game picks up for its entirety, but by its end, I felt the ultimate climax and end of the episode lacked some of the impactful choices the previous two have capped themselves off with. While there is a choice to be made at the end, it doesn’t have immediate differing effects like the others had. That said, the last scene, which teases at future events, is probably the most intriguing of the series so far. Despite these issues, it would be wrong to say the game is still not high quality overall. The characters continue to be well-developed and excellently voiced, and while various visual hitches continue to show themselves, they don’t feel quite as intrusive as before with a few exceptions during heavier scenes. One interesting new mechanic comes in the form of Lee defending himself against the bandits. Essentially, what is primarily an adventure game briefly turns into a simplified shooter, with the player being required to manually aim and take out enemies via headshots. This is an appropriately intense and involving moment that is pulled off very well, and it will be interesting to see if the remaining two episodes throw any new gameplay aspects at us. What has become a trademark of this series returns in the form of choices you must make at certain points, both specific actions and lines of dialogue for Lee to reply with. At this point in the series, it’s hard to say just how noticeable the ramifications of certain choices are. While perhaps the ultimate ending of the series will reflect some of the player’s decisions, the differences between most of what you seem relatively minor. Despite this quibble, I still appreciate the system. It makes the experience feel much deeper and more personal than most games, and the end-of-episode stat screen that has also become a trademark shows the overall percentage of players who made each major choice. Again, while it’s getting hard to tell if the effects of certain choices really will be game-changing, the mechanic is effective regardless. The Walking Dead: Episode 3 – Long Road Ahead makes up for its shortcomings in pacing with some smart and not-obvious plot developments, some of which pack more of an emotional impact than anything in the series so far. 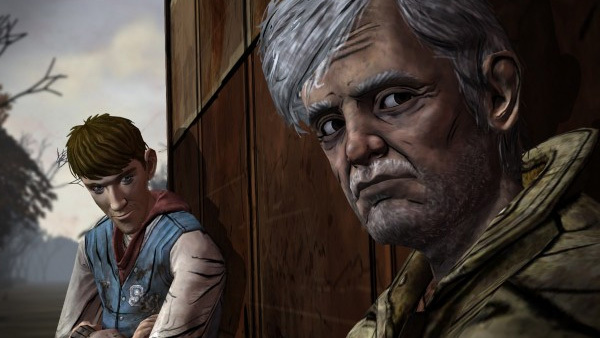 With any luck, Telltale will get a better hold of the pacing in the upcoming two episodes. Compared to previous episodes, I’d say it traded in the excellent sense of tension with an excellent sense of emotion for some of its highlights, and that is not necessarily a bad thing.